Click here to read the American Legion’s letter of support for Dr. Coburn’s position on the NICS bill. 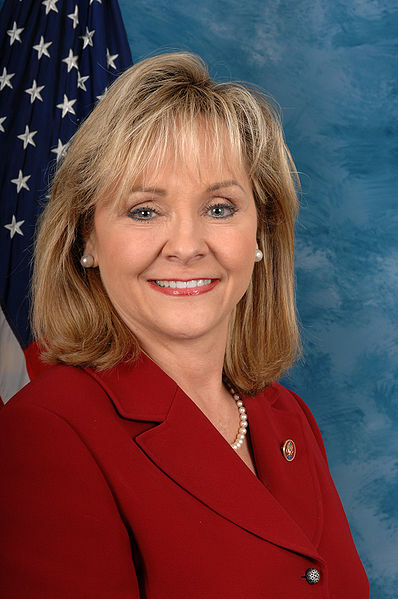 The Energy Advocates, a not-for-profit organization based in Oklahoma, has announced it will provide student scholarships in the name of Oklahoma Fifth District Congresswoman Mary Fallin. WASHINGTON, D.C. – U.S. Senator Jim Inhofe (R-Okla.) today announced that he is a co-sponsor along with Senators Lott (R-Miss.) and Coburn (R-Okla.), among others, of the SCHIP Extension Act of 2007 (S.2086), which provides an 18-month clean extension of the SCHIP program without the big-government expansions in the Democrats’ SCHIP re-authorization legislation (H.R.976). The temporary extension is consistent with the President’s plan and increases funding in accordance with CBO estimates of the costs to ensure that every state’s SCHIP program is fully funded when the current program’s authorization ends on September 30th. “I support the original intent of the SCHIP program, which provides health coverage for uninsured children in need,” Senator Inhofe said. “Unfortunately, Congressional Democrats have been playing politics with the SCHIP re-authorization bill, using it as a vehicle to advance their long-standing agenda of socializing healthcare and creating a new middle-class entitlement. “The Democrats’ legislation unnecessarily expands state-wide health insurance coverage from low-income, uninsured children to include entitlements to some upper-middle class families and adults, forcing the federal government to insure adults with funds intended for children. Furthermore, the Congressional Budget Office (CBO) estimates that almost 2.1 million people eligible in this new bracket could drop private coverage in favor of government-run, taxpayer-funded insurance. This unprecedented expansion toward nationalized healthcare will detrimentally affect the quality of coverage available to Americans. Hello again, everybody! Over the next several weeks, the celebration of Oklahoma’s Centennial will be in full swing. Compared to most of our neighboring states, Oklahoma is young. In fact, most communities in my Senate district are older than Oklahoma. As young as Oklahoma is, it is remarkable what we have achieved. Fair And Biased: WILL THE MYSTERY MAN PLEASE ID HIMSELF? WASHINGTON — Oklahoma Rep. Dan Boren, D-Muskogee, on Tuesday began promoting a bill that would mandate insurance pay for colon cancer screenings. Boren cited his family history as a reason for legislation expanding coverage to 28 states that do not require insurance companies to pay for the screenings. He was accompanied at a Capitol news conference by his sister Carrie Boren, missioner for evangelism at the Episcopal Diocese of Dallas. OKLAHOMA CITY –State leaders need a much better understanding the costs associated with meeting new education standards, the author of a controversial Oklahoma education study said this week. Augenblick’s two-part study, “Calculating the Cost of an Adequate Education in Oklahoma,” analyzed the “adequacy of revenues available to elementary and secondary school districts in Oklahoma” for the 2003-2004 fiscal year. OKLAHOMA CITY – If the fiscal policies of reducing revenue continue, state government will lack the resources necessary to properly fund vital programs on which Oklahomans rely. According to members of the Alliance for Oklahoma’s Future, dramatic funding cuts in state services such as education, public safety, and state pension programs are inevitable if further reductions in state revenue occur this coming legislative session. • Preserve and ensure equity in the state income tax. You are currently browsing the Oklahoma Political News Service blog archives for September, 2007.